At the highest point of Imerovigli are located apartments FLORINA and are the ideal place to stay during your summer vacations. They are newly built, still following the traditional architecture of Cyclades islands in order to blend with the landscape. They are built in a privileged position of the Caldera gulf, right across Skaros castle, the one-time Venetian castle with unique view to the volcano. The units have modern furnishing and all the modern comforts in order to make your stay more restful and pleasant. All rooms are spacious, bright and have big balconies. They all have a bathroom, kitchenette with the necessary utensils, satellite TV and dining table. 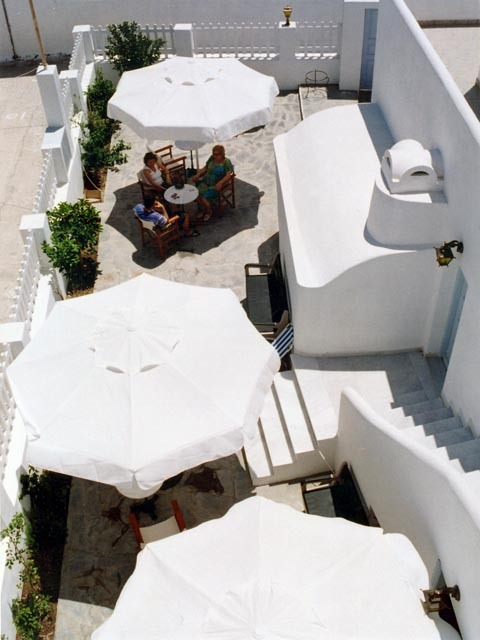 The complex has a patio with tables and umbrellas where you can enjoy your coffee or refreshment with the best Aegean view. This traditional accommodation is very suitable for people in wheelchairs, people with a walking disability or elderly persons. 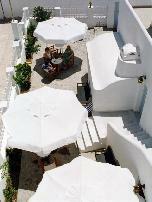 There are no steps to reach the hotel which is rare in Santorini. 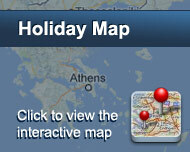 The owners have created really nice decorated apartments, in order to make your stay unforgettable. You will once feel as a member of their family. Είστε ιδιοκτήτης ή διευθυντής στο FLORINA APARTMENTS; Εγγραφείτε τώρα για δωρεάν εργαλεία, που μπορείτε να χρησιμοποιήσετε για να βελτιώσετε την καταχώρησή σας και να συνδέσετε την ιστοσελίδα σας και το σύστημα κρατήσεών σας.